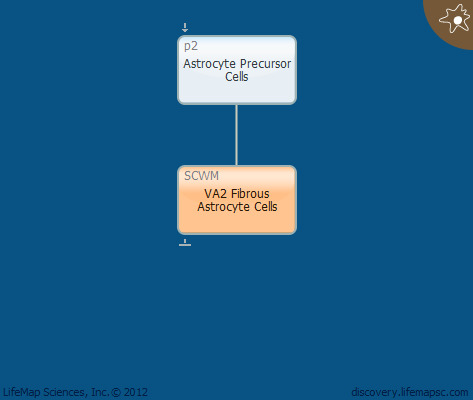 VA2 fibrous astrocyte cells are a subpopulation of fibrous astrocytes located in the spinal cord white matter. Fibrous astrocytes have long, thin, unbranched cylindrical processes whose endfeet envelop nodes of Ranvier. VA2 fibrous astrocytes are identified by expression of Reelin and Slit1.